Extreme brushless VXL power for 60+ mph speeds, integrated low-voltage protection, and waterproof electronics. 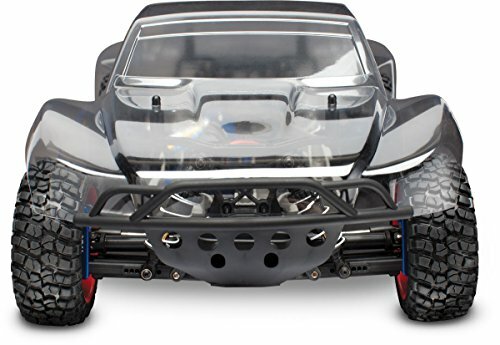 Rigid, LCG chassis with adjustable front and rear sway bars and sealed, silicone filled center differential. Hard-anodized and PTFE-coated aluminum GTR shocks with titanium nitride-coated shafts. 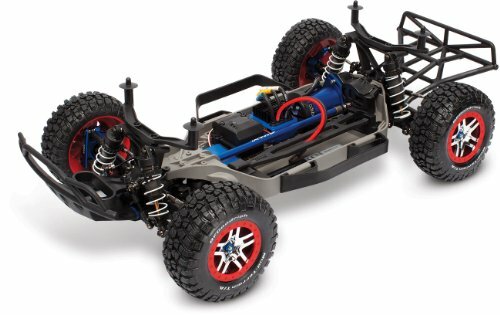 Slash 4X4 Platinum arrives fully assembled and ready to complete with your transmitter, receiver, and battery (not included). In place of the radio system, the Platinum Edition is loaded with machined aluminum suspension components, front and rear swaybars, and a clear body ready paint. The Platinum Edition also includes a sealed, silicone-filled differential to replace the installed Torque-Control slipper clutch when track conditions favor a center diff. The Platinum’s performance begins with a low center of gravity (CG) chassis. The battery (not included) and electronics are held as low as possible to position weight low in the chassis. 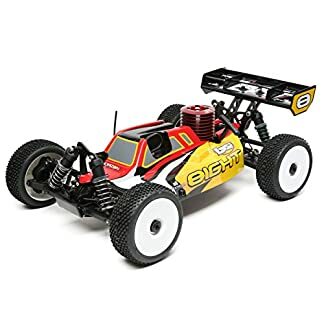 The strengthened chassis features smoothly integrated ribs that form a triangulated structure optimized for the increased stresses of brushless power. Underneath, the chassis is ultra-smooth to reduce drag and prevent snags. The low-CG design dramatically increases corner speed and stability no matter where you drive. 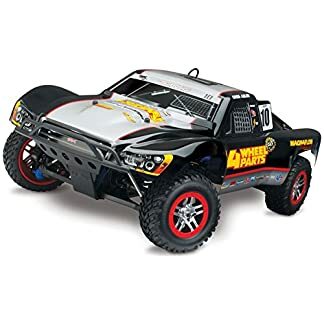 On the track, the low center of gravity allows the Slash 4X4 Platinum to put Velineon power down with superior traction, resulting in harder launches and faster lap times. 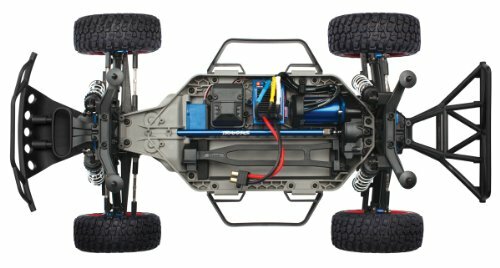 Traxxas GTR shocks has been customized for Slash 4X4 Platinum to deliver track-ready suspension travel, and the hard-anodized shock bodies have 13mm bores to hold over 70% more oil than the standard Slash 4X4’s Ultra Shocks. The GTR shocks feature PTFE-coated bores for nearly frictionless piston travel to eliminate “stiction.” The shocks are sealed by unique X-rings to keep oil in and dirt out for smooth, consistent damping. 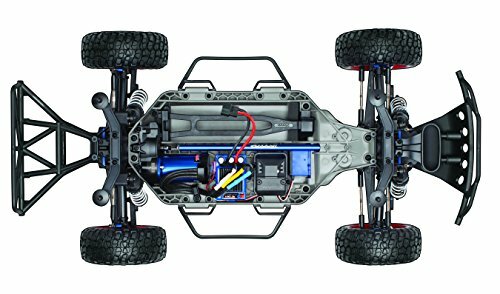 The Traxxas Velineon power system gives the Platinum Edition competition-ready power to match its track-bred handling. The Velineon system is optimized for smooth, high-speed performance and refined control to help you hug the fast line and precisely meter out power at the edge of traction. Low Voltage Detection (LVD) is built in and activated right out of the box, making the Platinum Edition ready for high-output LiPo batteries. The next-generation Slash 4X4 Platinum Edition features an all-new Low-CG chassis and high-volume shocks to deliver the ultimate in short-course racing performance. The Platinum Edition arrives fully assembled and ready to complete with your transmitter, receiver and battery (not included). 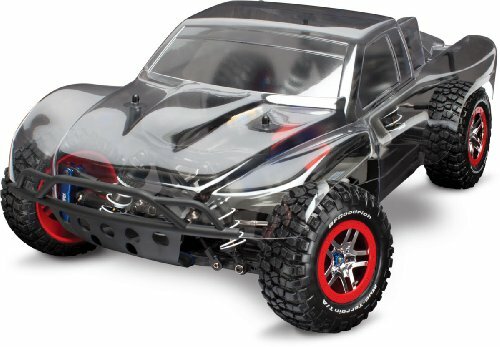 In place of the radio system, the Platinum Edition is loaded with Traxxas’ premium option parts and accessories. Standard equipment includes machined aluminum suspension components, front and rear swaybars (including a set of extra stiff ‘bars) and a clear body ready for your own signature paint style. The Platinum Edition also includes a sealed, silicone-filled differential to replace the installed Torque-Control slipper clutch when track conditions favor a center diff. 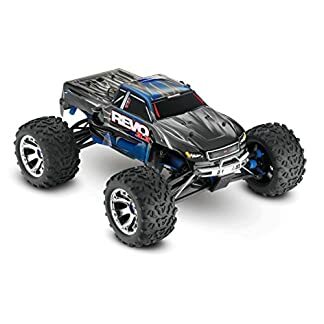 The Platinum’s standout features are its Low-CG chassis and massive GTR shocks, both all-new for the Slash 4X4 Platinum.